I stumbled across this shot while walking around Soho during our trip to New York last week. 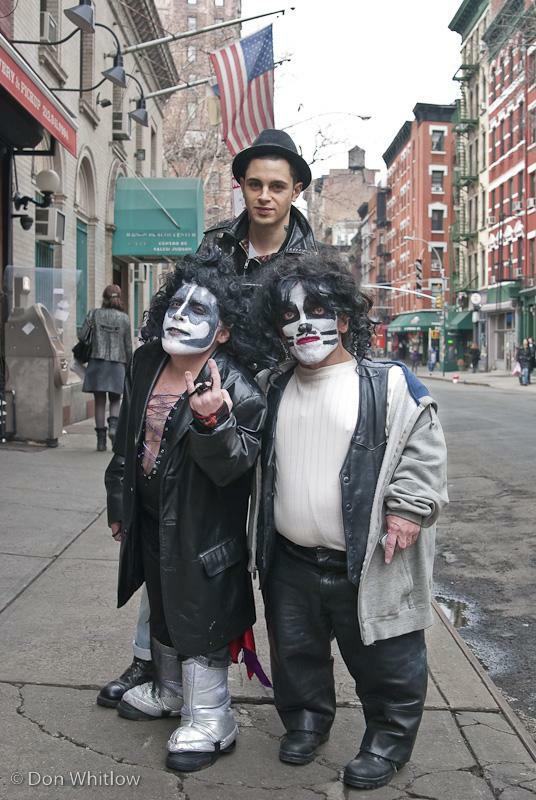 I never did get the whole story why the KISS makeup on an early Monday afternoon, so I’ll just chalk it up to the general awesomeness of New York. The taller guy was trying to get a shot of himself with the other two on his cellphone, so I offered to shoot one for him in exchange for letting me shoot a couple shots of my own. That quick thinking paid off as this may be my favorite shot from the whole trip.